Liv Life: Double Chocolate Truffle Skulls… and a visit from Spabettie! 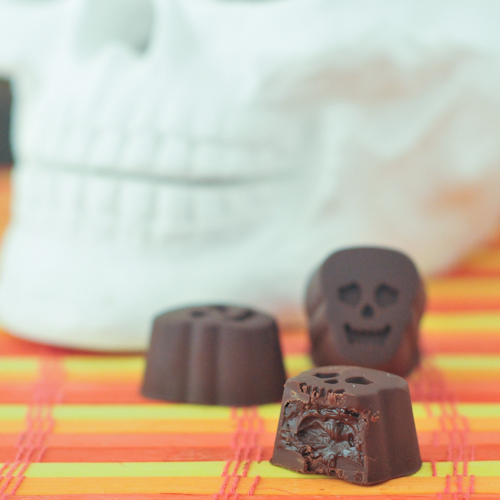 Double Chocolate Truffle Skulls… and a visit from Spabettie! After a comment from Liv a few weeks ago, I promised to work on my holiday festivity. Apparently I've been a little festive-deficient over the last few holidays, and my holiday loving girl is wishing for more holiday fun in her life. I've been trying. I decorated a bit, bought pumpkins and we even carved them (pics up tomorrow!) But how can I compare to what Kristina, from Spabettie, has brought for us today?? 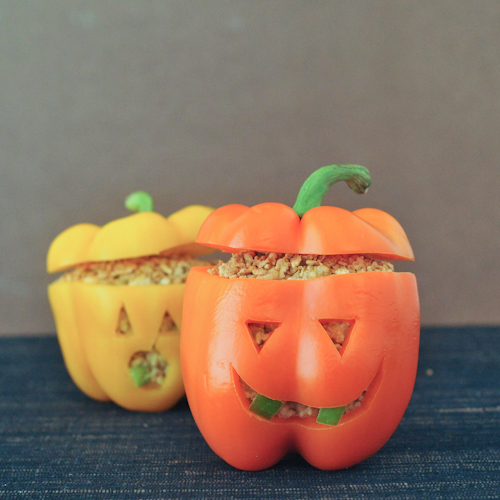 Not only is her recipe dairy free (so my whole family can enjoy), but how Halloween festive are these guys?? Liv has already been asking me to head down to the local craft shop so we can make our own skulls to much on. But her list didn't stop there… she looking at Christmas trees, hearts and even bunny molds. Looks like we are going to be festive for holidays to come! Kristina, thank you for helping me keep my promise and for bring a bit of spookiness to Liv Life. Liv says you are more festive than I am, and she's hoping it will rub off on me!! 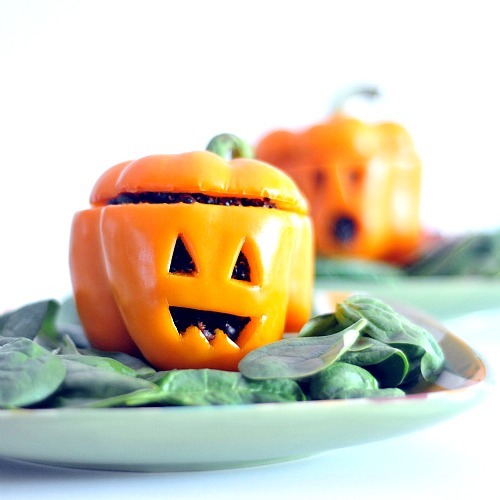 Halloween is one of my favorite times of year - not only for the costumes (dachshunds included), but also for creating some Halloween fun in the kitchen. I make truffles year round - they're actually one of my favorite things to make - so of course I had to come up with something for Halloween. While there are several steps and some waiting time involved in the truffle making process, these really are very easy. I promise. I mean, look at the ingredient list - two ingredients total. for the whole recipe. and these are filled truffles. yum. Stop by your local craft store - the candy making section has way too many candy molds to choose from - and pick up some coconut milk and dark chocolate, and you will be on your way to some impressive treats of your own. 1/2 cup full fat coconut milk (canned)* * Without shaking, open a can of coconut milk, spoon out 1/2 cup of the thick portion at top of can for this recipe. Chop 4 ounces chocolate. In saucepan, bring coconut milk to a boil, reduce to simmer and stir continually for several minutes. Remove from heat, add chopped chocolate, whisk until smooth. Allow to cool. Cover and transfer to refrigerator to thicken (1 hour). Chop remaining 4 ounces chocolate, and melt over lowest heat possible, stirring constantly and rapidly. Spoon a small amount into each mold, and using a small paintbrush, coat the mold completely. Place in refrigerator until set. Once chocolate in molds is set, fill each mold with ganache filling, leaving room at the top to seal with more chocolate. Reheat remaining chocolate and fill each mold, covering the filling completely. Tap molds on counter to remove any bubbles, return to refrigerator to set. See step by step photos of this process here. 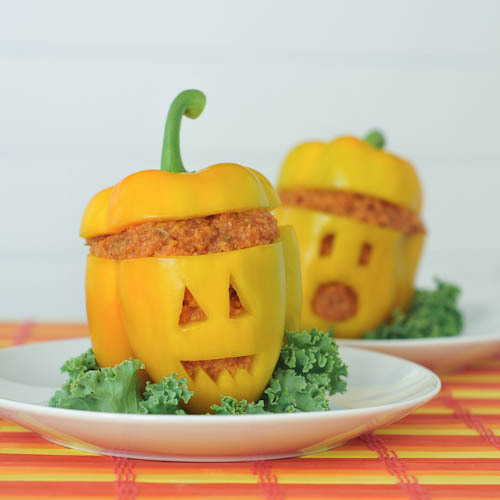 Lots of cute Halloween ideas! Those are so cute!...Okay, I know they should be scary, but cute was the first description that came to mind. Can't wait to use this recipe through the holidays. I love these! I want to find the molds and make them for Dudette before tomorrow. She's a total skeleton queen, even though I won't let her dress as one tomorrow. It's hard to rev up to a holiday when you heart's not in it but it helps to have creative people like Kristina around for inspiration...she's a genius! I wish she'd do a cookbook...please encourage her! Thanks for the recipe. I'm new to your blog so I'm off to explore it now. Cheers! Love your skull truffles, especially only two ingredients and gluten free. I have to try these, and get some molds. Thank you for the inspiration, Kristina. Thank you for having a great guest blogger! Is there a possible substitute for the coconut milk? My daughter is allergic to coconut. Thanks, they look great! Halloween just passed but I can't get over the beautiful treats here. Love the skull candy, absolutely spooky and adorable.